A few years ago, I hired a guide to give me a tour of a Civil War battlefield where my great-grandfather had fought. At one point, we left the marked trails and tramped through the woods for a few minutes before emerging in a clearing. It was there, he said that my ancestor's company had confronted and defeated an enemy artillery unit. I'd love to someday show that spot to my children or grandchildren, but I know I could never find it again without help. It's too bad my phone didn't have a GPS tool like the On Spot Waypoint Marker Finder. The app uses GPS coordinates to mark and remember locations that you visit and want to remember. It might be a spot with a lovely scenic view or one that yielded buried treasure to your metal detector. The app records the date and location and lets you add notes and photos. Any spot you record can be displayed on a map. 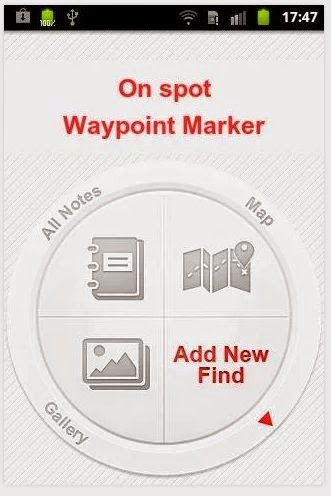 The On Spot Waypoint Marker Finder costs 99 cents and is available for Android devices in the Google Play Store.